All children with biliary atresia need a liver transplant at some point in their life, usually before the age of 20. A Kasai procedure can make the affected liver last a bit longer, but it is only a holding action, no permanent solution. Even though the Kasai makes it possible to drain some bile from the liver, the liver still has problems processing bile, and usually bile-ducts inside the liver are also gone. As more and more waste piles up in the liver, it starts to fail. After a month it became clear that the Kasai operation had not worked for Alexander. His bilirubin levels were increasing again, and his stool remained discoloured. The next step was to determine when Alexander would need a transplant. 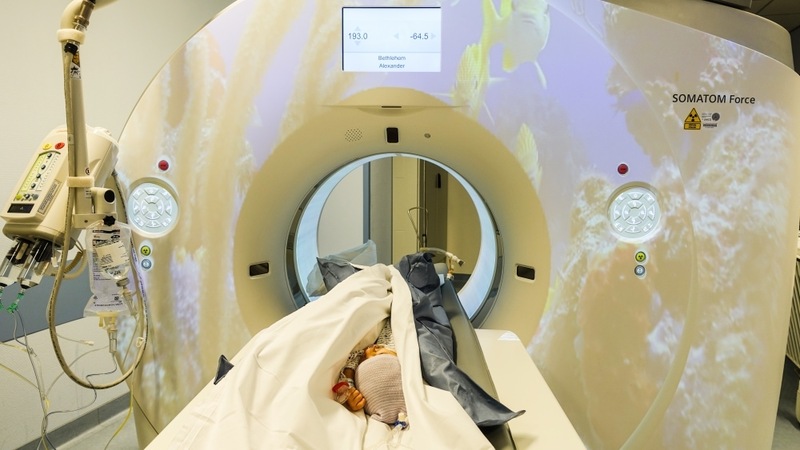 For that the Hospital in Groningen uses a “screening-week”, to determine the precise state of his liver, and use various scans to map the organ and blood vessels. It was a quite busy week. We had a lot of meetings with all the specialists involved. We tried to get as much information out of them as we could. And Alexander had to endure a huge amount of blood testing, he went into a MRI scanner, got a few X-rays and had an echo made. Alexander was great through the whole process. At the end of it all it was confirmed he was suitable for transplantation, and he would be put on the waiting list for a new liver. For a new liver, Alexander had two options. The first was that he would get a new liver from a deceased donor. To manage this, he was put on a waiting list at Eurotransplant. Through this organisation The Netherlands, Belgium, Germany, Austria, Hungary, Croatia and Slovenia pooled their donor organs, so as to allow for a greater chance for a donor match. You see, especially for young children it’s really hard to get a compatible organ. It needs to match the blood type, coagulation, and most of all, the size is very important. A six month old child can only get a liver from someone who is under 80 kilos in weight. Preferably, he would get one from another diseased child. But those don’t tend to be registered as donors. This all makes it really hard to find a donor. 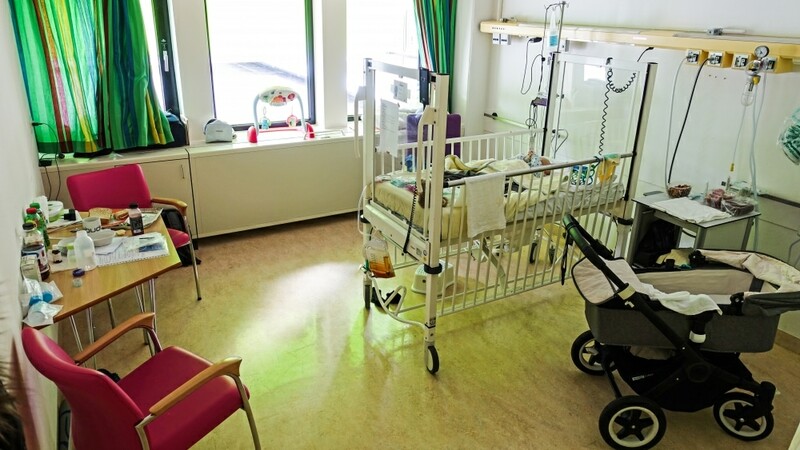 That’s why most children with Biliary atresia actually die whilst still on the waiting list, even though they get a really high point total landing them near the top of the list. Alexander had 32 points when he came on the list, on a scale of zero to 40 points. The way this system works it means that he had a 75% chance of dying within the next three months . Usually there’s around 100 to 200 people in The Netherlands on a waiting list for a donor liver. This sounding pretty bleak, we were glad to find out there’s a second option: living donation. Since 2004 living liver transplantation are performed in the hospital in Groningen. The living donor is usually the father or the mother. The liver is a very flexible organ, and can regrow rapidly. This allows for the possibility to extract two segments of a liver from a healthy donor, and replace the damaged liver of the child. The liver in the donor will expand again, he would not have any negative consequences. The fragment of the liver placed in the child quickly adapts to the child’s physiology, and grows to full size. The idea is that since this operation can be planned, a lot of possible complications can be avoided. The donor can be fully screened for compatibility. The two surgical teams can start the day fully prepared and rested. Both operations are impressive feats of “biological engineering”. Especially the living donation is interesting. Two full surgical teams are needed, including two operating theatres. It will take around 10 hours to extract the liver fragment from the donor, and then another 10 to 15 hours to place it in the child. There’s all sorts of ingenuity going on. For instance, in some cases its even possible to extract the liver laparoscopically. And then there’s the actual work to place the liver in the child to consider. Usually this is done by a plastic surgeon, who has the fine motor skills needed to sew together the completely mismatching blood vessels. After the operation the life expectancy changes dramatically for the patient. He would need to take medicines to prevent the liver from being rejected for the rest of his life, but with livers the dose would be minimal. He would be able to have a normal life. As we didn’t like the idea of Alexander dying on the waiting list, we gladly signed up for the living donor program. We would both get screened, and if one of us was compatible, an operation date could be planned.